Wilder vs. Ortiz: Will Alphabet Soup Idiocy Strike Again? Briggs Seekins July 20, 2017 Boxing, Headlines No Comments on Wilder vs. Ortiz: Will Alphabet Soup Idiocy Strike Again? 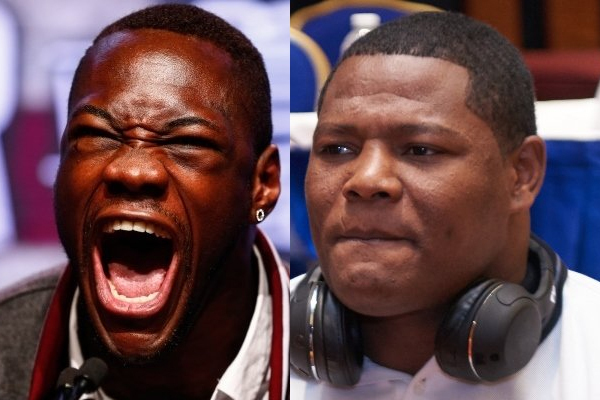 On Tuesday afternoon the internet was fired up with rumors that a heavyweight clash between undefeated knockout artists Deontay Wilder and Luis Ortiz had been all but finalized. This was outstanding news. The division is already hot following Anthony Joshua’s thrilling stoppage of Wladimir Klitschko earlier this year. Wilder and Ortiz are the other two best fighters in the division. The fact that they were now set to do battle was good news for a division that needs an uncontested kingpin in the post-Klitschko era. That Wilder’s WBC belt would be on the line was mostly beside the point. The real Heavyweight Champion of the World is Tyson Fury–a distinction he earned when he beat Klitschko in November 2015. Unfortunately, the giant Irishman has been out of action since. But Fury is still the reigning champ. Everybody else is competing to be the fighter who forces him to either come back to the ring or abdicate once and for all. Joshua is close to that now, following his knockout of Klitschko. But the winner between Wilder and Ortiz would have their own major claim that Joshua and Fury would be forced to take seriously. Wilder is 38-0 with 37 KOs. He has knocked out some decent, second-tier contenders like Artur Szpilka, Malik Scott and Eric Molina. He had beaten just one legitimate top-10 heavyweight, beating Bermane Stiverne by unanimous decision in January 2015, to claim the WBC belt. In no sense does he deserve to be viewed as a world champion. But his record of highlight reel knockouts earns him a place at the table for the heavyweight banquet of potential superstars. Ortiz is the other man who deserves such a place. He is 27-0 with 23 KOs. His TKO of Bryant Jennings in December 2015 demonstrated that he is an elite talent in the division. Ortiz vs. Wilder is a fight that absolutely needs to happen. But today Boxing Scene reported that it might not take place after all. The reason? typical alphabet soup absurdity. According to the WBC, Stiverne is the mandatory challenger for their worthless title and would have to agree to step aside for the Wilder-Ortiz fight. This is a travesty. Stiverne deserved a mandatory shot at Wilder back in 2015, during the year following his loss to him. At this point, he is barely relevant. Nobody views him as a true, top-10 heavyweight. The correct course of action here would be for Wilder to throw his alphabet soup trinket in the trash and pursue the fight that is truly relevant. Don’t expect it to happen, though.